Well, things are certainly getting heated between competitors in the auto industry right now. A BMW executive recently described the Mercedes X-Class luxury pickup as “appalling,” despite admitting that the firm is considering entering the premium pickup segment. Then Lewis Hamilton taunted Ferrari claiming that AMG can build a better supercar. 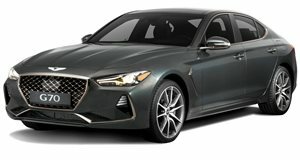 And now the boss of Hyundai and Genesis seemingly got out the wrong side of the bed one morning, accusing luxury automakers like BMW and Mercedes of putting too much focus on “stupid” tech.